Get these powerful ebooks and take your training to the next level! In the most hard-hitting manual on the subject of self-protection, "The Karate-Myth", master teacher and internationally-recognized self-defense expert, Jeffrey Miller, shows you literally why most martial arts and self-defense programs are wrong and how to truly be safe in Today's often violent world. Listen — If you want to wake up tomorrow and know exactly what you need to in order to stop attackers and not be a victim, then shut down your email, lock the door, unplug the phone and devour this book and it's bonus materials immediately. A simple book, but no means simple. Unlike all of those books by so-called masters who try to dazzle you with complex techniques and tricky, hard to remember moves, this easy to follow training guide will provide you with everything you need to use one of the simplest, and yet most powerful, weapons ever created for stopping any attacker in his tracks. Even if you've never taken a single self-defense class, this book will give you everything you need to begin being more safe and secure - right now! Also includes a 2nd BONUS ebook written especially for police officers, with dozens more techniques for this weapon! SHURIKEN: Mastering the Ninja Night Warrior's Throwing Star! With the exception of the sword, no other weapon screams "Ninja" like the shuriken, or throwing star. This training manual is perfect for the beginner and advanced student alike. There is literally something in here to take anyone's training skill and knowledge to the next level! Detailed information page coming soon. Every day, literally thousands of well-intentioned people set on to accomplish their goals, only to be met with failure and dismay. 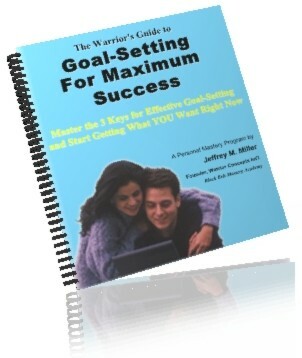 This short, easy to read book provides the key elements necessary to insure that the goals we set for ourselves actually have the greatest chance of coming to fruition. From the timeless wisdom of the ancient masters, comes three simple key elements need for every goal that we set. If you;re serious about your success and growth, you can afford not to get this book. Regardless of what you hear, self-defense for women requires a certain level of understanding and skill that is just not needed in the realm of men. While much of what's being taught, in general, about self-protection DOES apply to both men and women, however, there is still a lot to learn if you're serious about this subject. This easy-to-read book tells it like it is when it comes to the topic of self-defense for women and teen girls. It's based on over 30 years of study, research, and actual, real-world experience in exactly what it takes for a woman to come out on top in a life-threatening situation. The 16 Secret Fists of the Ninja! This book is really going to pack a punch (yes, pun intended). Shrouded in mystery, the Ninja's techniques are some of the most powerful ever created for overcoming an opponent. And, in this amazing, single book, the Shidoshi will be exposing some of the most closely guarded secrets about the 16 Secret Fists of the Ninja. 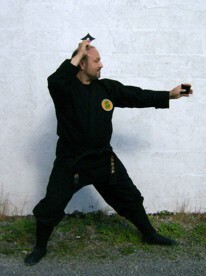 A must-read for anyone interested in mastering the Ninja's arts or wanting to add a few more tricks to his or her self-defense arsenal of unarmed weapons tactics. Please Note: Although the topics for these upcoming books have already been outlined, the titles are tentative and subject to change prior to actual publication.